As the cryptocurrency went into freefall on Friday, with its price collapsing from nearly $20,000 earlier this week to around $12,000 as steam appeared to be running out of its year-end rally. It's not the easiest concept to grasp. It's money, but there's not exactly a mint for printing coins. It's regulated, sort of, but not by the usual institutions. It also, if one can believe it, helps ensure food safety. In search of answers as to what this elusive new currency is all about, we reached out to Bora Ozkan, assistant professor of finance at Temple University's Fox School of Business, for an answer. If you had to succinctly explain to a layman what Bitcoin is, what's the basic rundown? Digital currency, yes, but how do you acquire it and how is it verified as actual money? Blockchain is a technology that allows a network of high-powered computers that tracks and publishes an online chronological ledger that shares data such as transaction records, digital rights, identity, intellectual property, etc. The ledger does not stay in one place but rather is stored across many participants in the network which makes it rather secure. Bitcoin is the largest and most well-known implementation of blockchain, with a market value of nearly $300 billion as of early December. As a cryptocurrency, Bitcoin is a peer-to-peer version of electronic cash that allows online payments to be sent directly from one party to another without a financial intermediary. It is not issued or backed by a government, so it has a value that is determined by its supply and demand, which makes it almost like a commodity. I refer to this as “crypto-commodity." Bitcoin transactions can be made through electronic wallet providers like Bitcoin Knots, Bitcoin Core, Green Address, Bither, Electrum, etc. Every transaction is batched and shared with the network for verification by “Bitcoin miners." These miners prevent counterfeit and re-use of bitcoin. It sounds like there sort of are intermediaries, only in the form of these small services? Just like paper money or gold, Bitcoin allows parties to exchange value. However, they are digital and decentralized. The initial claim was, of course, people can actually exchange value without financial intermediaries. There are still service companies in between transactions, like exchanges and wallet providers and there are signs of concentration among these as well. Financial services companies may start acquiring these service providers in the near future. It is clear that Bitcoin will revolutionize the financial services industry rather than alter it. What is "cryptocurrency?" Does that mean there are other currencies like Bitcoin? Cryptocurrency is a technology that reduces the need for a financial intermediary for transactions. There are hundreds, if not thousands of other cryptocurrencies out there, like Ripple, Etherium and Litecoin. Initial coin offering, ICO, allows developers to issue new cryptocurrencies. More than $3.5 billion was raised through mid-November this way. No one nation lays claim to Bitcoin, correct? It's sort of a universal currency? There is not a government or an official organization behind Bitcoin. However, there is a great interest among central banks and other financial institutions to develop and participate in the technology behind Bitcoin while retailers like Walmart are looking into the technology to ensure food safety. Central banks are also discussing digital currencies using the same technology. How would Bitcoin ensure food safety? Blockchain makes it possible to trace sources of food products to improve authenticity and safety. For example, if there is a problem with milk sold at a store, with this technology, Walmart will be able to trace back to the cow where milk came from. IBM and Walmart recently announced a Blockchain Food Safety Alliance collaboration to improve food tracking and safety in China. Who invented Bitcoin? And, beyond that, what's there to gain from its existence? And isn't it inherently problematic to have a currency that someone can hack? Bitcoin is traced back to a whitepaper published in October 2008 by a person or a group of people under the name Satoshi Nakamoto. A recent paper by C. Catalini of MIT and J. Gans of the University of Toronto identifies two key costs that are affected by this technology: The cost of verification, which reduces the cost of transactions; and the cost of networking, which eliminates the need of a traditional intermediary. The ability to securely record and time-stamp information on a blockchain is extremely valuable when issues arise with a transaction which is why this technology will impact the entire supply chain in a traditional business model. Bitcoin uses a clever mix of cryptography to deliver results, which impacts accounting, settlement, and security costs. Ozkan: It is clear that Bitcoin will revolutionize the financial services industry rather than alter it." The security of the system is guaranteed by the design of the system itself. Because every block contains data linking to earlier blocks, an attempt to cheat or hack would mean revising many links in the chain which is checked and verified by competing miners. Mining is an activity that requires fast computers and a lot of electricity. The transaction data stored in a block is encrypted by a formula. The miners put a lot of computing effort in a trial-and-error guessing to solve these encrypted formulas. When a miner decodes this formula and it is verified by others, the data is added to a linked chain of blocks of data which awards the miner with a newly issued Bitcoin. I know there's a bit of controversy over mining and energy consumption. How is Bitcoin causing problems in that realm? Miners use massive computing technology using private networks, which is somewhat concentrated in China, that use huge amounts of energy. 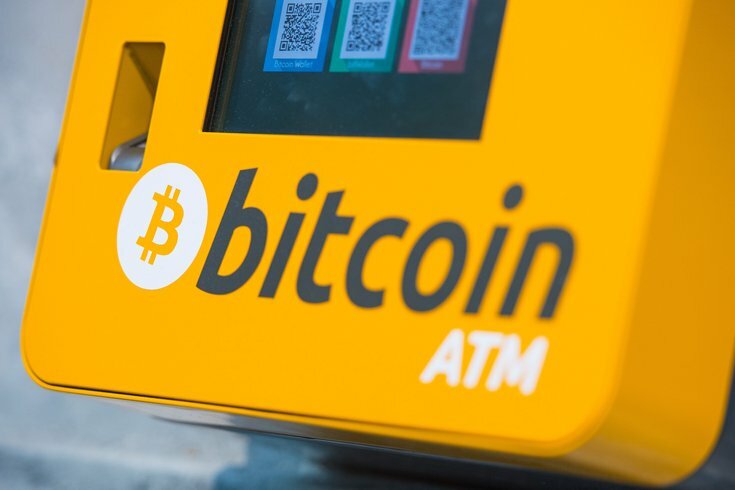 For example, a company in northern China runs a server farm with over 20,000 computers to solve the encrypted formula that generates each bitcoin. The electricity to power these computers are mostly coal-based. Total electricity used in Bitcoin mining was estimated to see a rise of 30 percent last month alone followed by the big increase in the price of Bitcoin. How does someone--the average person--get their hands on Bitcoin, should they want it? Bitcoin transactions can be made through electronic wallet providers like Bitcoin Knots, Bitcoin Core, Green Address, Bither, or Electrum. Bitcoin has a very large volatility, therefore it comes with a great risk. Just three days before future contracts were first traded, the price of Bitcoin went from $16,000 to almost $20,000 in about two hours, and then crashed back to its prior price range. These quick hikes and crashes can cause serious mental and physical damage to small investors, especially if they are investing large amounts of their wealth in bitcoin. The value of Bitcoin plummeted recently. Is that par for the course? It was a rough day for cryptocurrencies. The weekly decline is the biggest in almost three years. Other cryptocurrencies also tumbled: ethereum dropped 36 percent and litecoin 43 percent, according to Bloomberg. Several hedge fund managers and institutional investors expressed their concern about the future of Bitcoin, however, Bitcoin has seen swings like this before, so I won’t be surprised if the prices recover again next week. Why should someone care about Bitcoin, leading into 2018? Trading in Bitcoin futures started at Cboe and CME this past week. In the first week, more than 10,000 contracts worth over $180 million of Bitcoin were traded, according to Bloomberg. Nasdaq is planning to introduce bitcoin futures next year. These developments simply brought bitcoin from amateur league into a major league. We will hear a lot more of Bitcoin and other cryptocurrencies in 2018.